In order to reorient theological study, the Berkeley Public Theology Program supports a broad and comparative investigation of the ways this study happens, past and present, in the U.S. and abroad. This investigation includes two annual workshops on comparative approaches to theology, with participants drawn from a diverse group of institutions. The Interdisciplinary German Studies Conference brings media theory in conversation with ecological thought. Contributions from the fields of German, Comparative Literature, Rhetoric, Visual and Environmental Studies, Film and Media, and History. Have you ever noticed that each place has its own distinct set of colors? This watercolor workshop explores the colors that make up The UC Botanical Garden. Through classroom and garden we will develop color palettes that reflect this remarkable place. 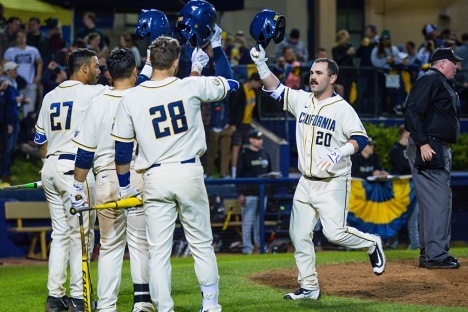 Cal Baseball hosts Brown - Double Header at Evans Diamond. Winner of the Best Director prize for Hou Hsiao-hsien at the 2015 Cannes film festival, The Assassin is a mesmerizing slow burn of a martial-arts movie (Variety). Two sisters play out dramas of lust and fear in a foreign land where war looms, an emotional landscape forsaken by God. A work of staggering integrity (Chicago Reader).